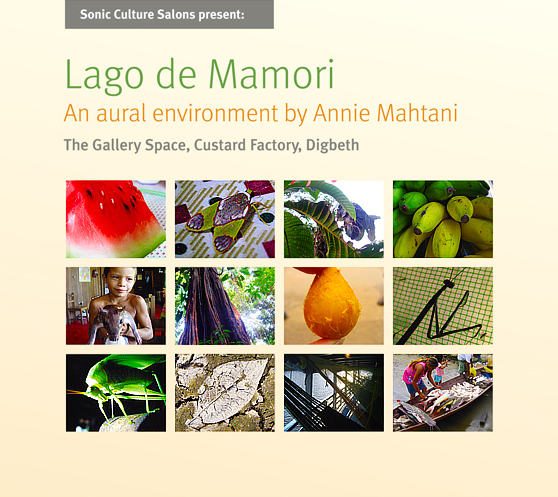 Another in our occasional series of Sonic Culture Salons, Modulate presents ” Lago de Mamori : An Aural Environment by Annie Mahtani”. a yearly residency directed by Francisco. Annie will present field recordings from the Brazilian Amazon in the form of a 16-channel sound installation. She will also speak about her experience in residence at Mamori Art Lab and engage the audience in an open discussion around the recordings and possibilities for future development of this work-in-progress. full hour of field recordings / and for the talk, arrive on the hour.